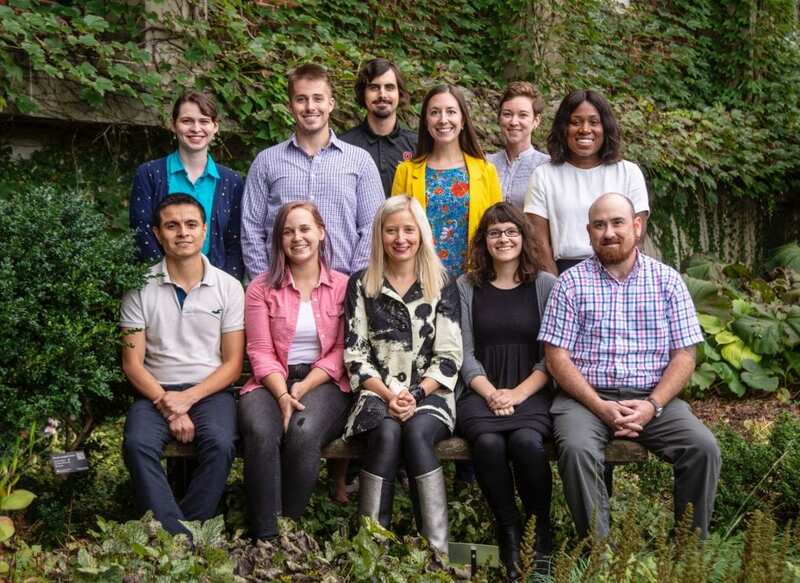 Congratulations to Gardiner lab members who won awards at the North Central Branch meeting of the Entomological Society of America. 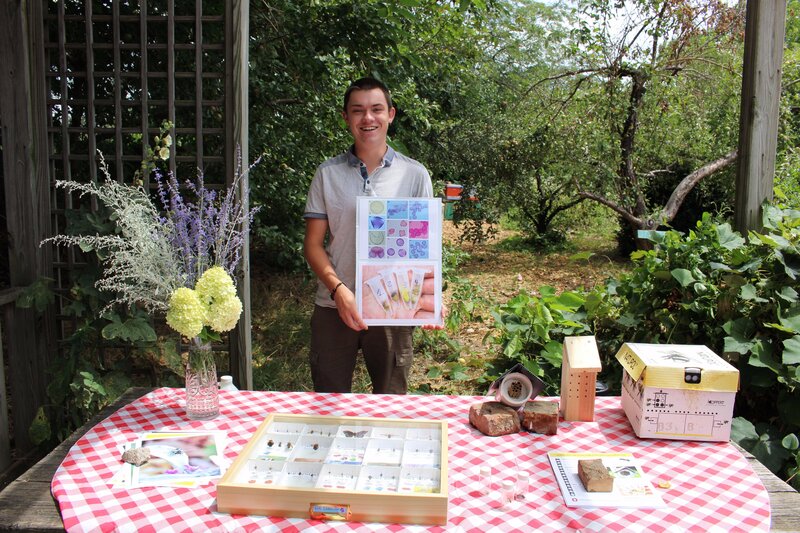 We are very proud of all of our student talks– everyone who presented won an award! 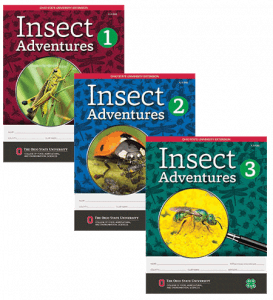 Katie Turo also received a North Central Branch Educational Project Award for her 4-H project books: Insect Adventures I, II, III. 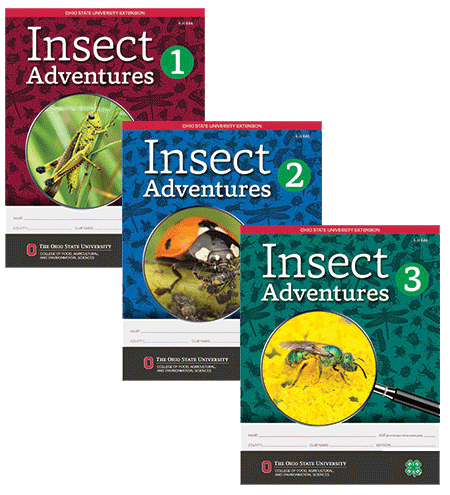 You can find these books at Ohio 4-H’s website! Join the Gardiner Lab this summer! 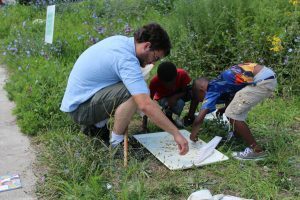 We are a landscape ecology lab based in Columbus, OH but we primarily conduct our research in the urban ecosystem of Cleveland, OH. 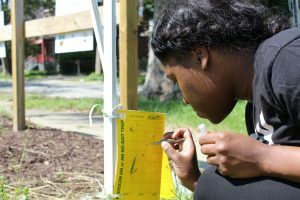 Our NSF-funded research focuses on designing sustainable urban green spaces that are both cost-effective and better for the environment. 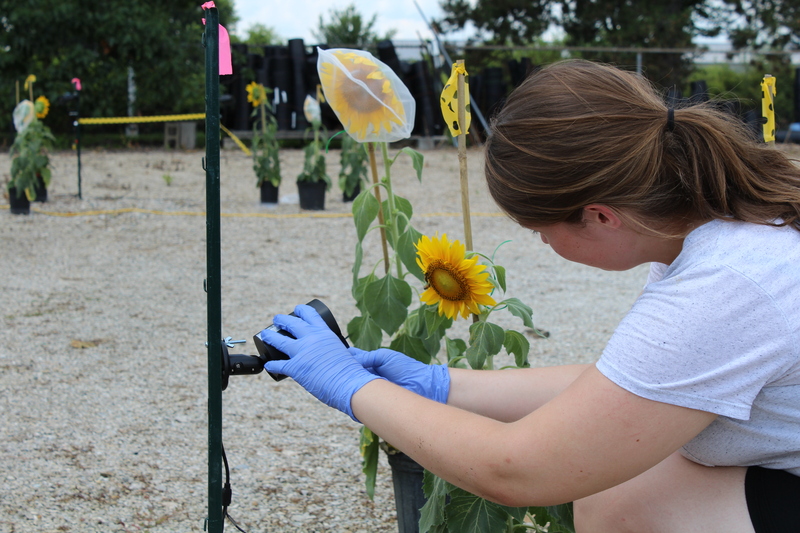 As one of our field technicians, you will gain both field and lab experience. Download the application to learn more. 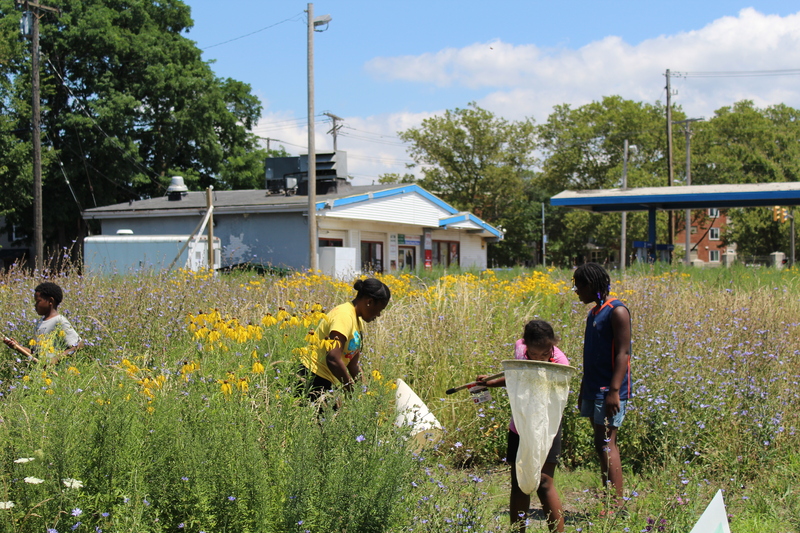 The Gardiner Lab in the Department of Entomology at The Ohio State University seeks a Summer Urban Greenspace Manager. 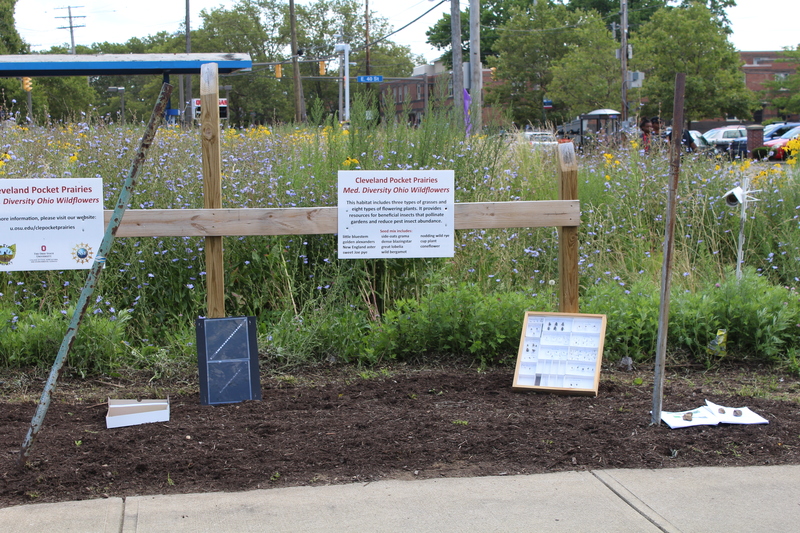 This individual will be responsible for maintaining (including mowing, trimming, mulching, weeding, and trash removal) a network of urban vacant lot greenspaces. 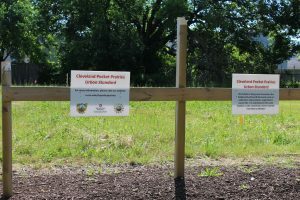 The selected candidate will also assist Mary Gardiner with establishing experiments and collecting data from the vacant lot sites. 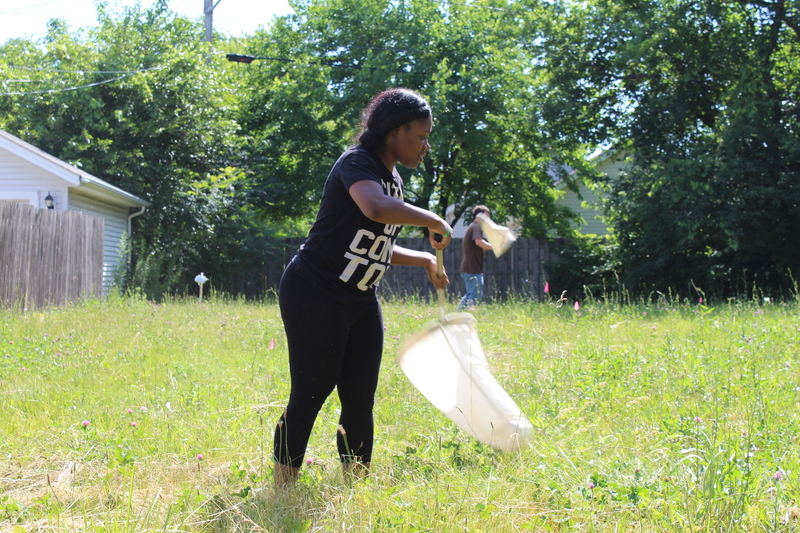 These habitats were established in 2014 and the Gardiner Lab is examining their value for arthropod conservation. The individual selected for this position must be able to drive, operate equipment such as lawn mowers and weed whips, and enjoy working independently and be comfortable interacting with the public. 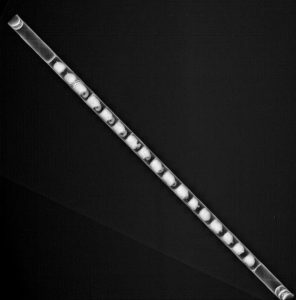 The position runs from May 1 to October 15, with an earlier start date possible. 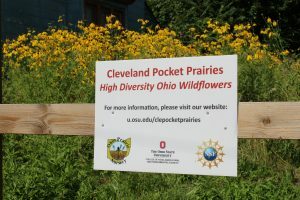 Contact Mary Gardiner (gardiner.29@osu.edu) with questions related to the position after reviewing the full announcement. Pollinator Field Day at Midtown Learning Farm! 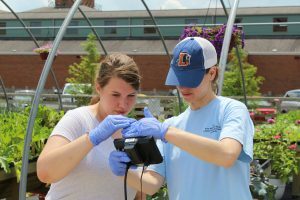 Graduate student Katie Todd and undergraduate Mike Friedman recently presented their research as part of an Ohio Ecological Food and Farm Association Field tour. 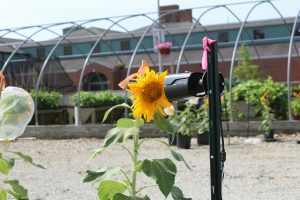 The field day was held at the Cleveland Botanical Gardens Midtown Learning Farm. Midtown is one of first of now several CBG urban farms that employs Cleveland youth in a summer work-study program. 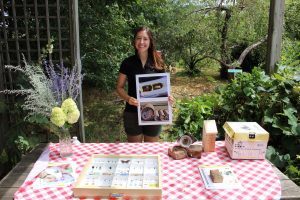 Katie and Mike put together an educational display including bee nests, pinned specimens, and a handout explaining their research, which focuses on the value of urban greenspaces as a nesting habitat. 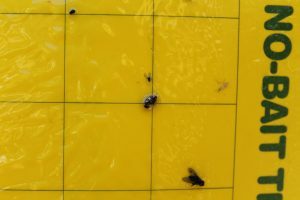 Does Competition for Food Result in Lady Beetle Decline? 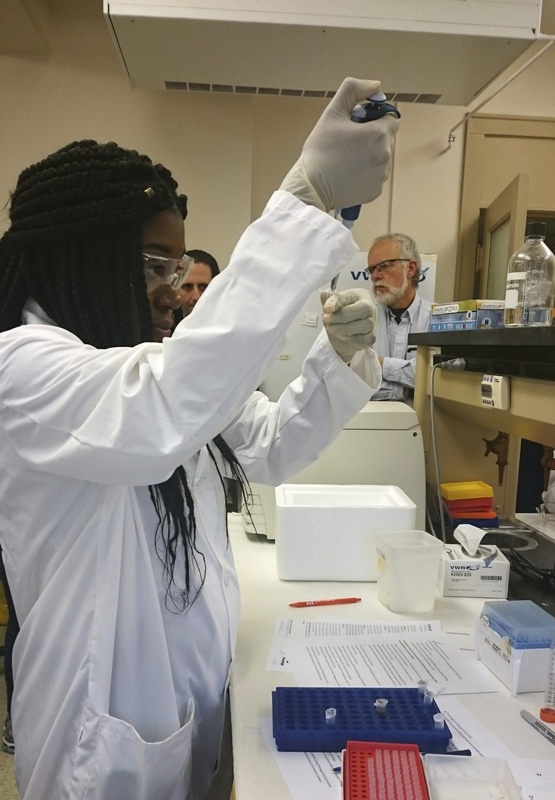 Graduate student Denisha Parker is going to determine if native lady beetles that have remained common following the introduction of exotic species have a low degree of dietary niche overlap with their competitors. 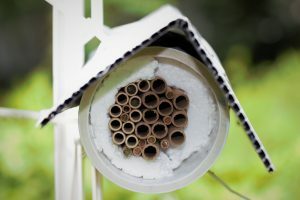 If this is true, it would aid in our understanding of why some species have declined dramatically following exotic introductions while others have remained. Denisha was recently awarded a highly competitive North Central Region Sustainable Agriculture Research and Education Graduate Student Grant ($11,924) to support her work. 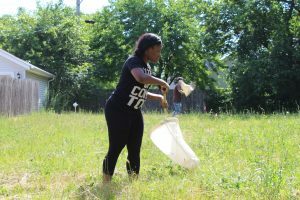 She will be collecting two species of lady beetles (checker-spot lady beetle (exotic) and orange spotted lady beetle (native)) from our control and high-diversity wildflower vacant lot plots as well as urban farms using sweep nets and sticky traps. Using molecular gut content analysis she will determine the diet of these species and determine how much overlap exists and if it varies by foraging habitat. Project Description: Native lady beetles are an important group of urban agricultural predators, but in recent decades many have declined dramatically coinciding with introductions of exotic lady beetle competitors. 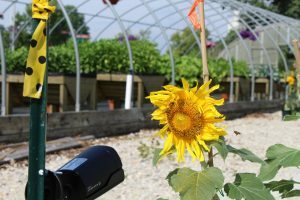 We will determine if the degree of overlap in predator diet, a form of exploitative competition, explains why some native species have declined while others have remained common following exotic establishment. 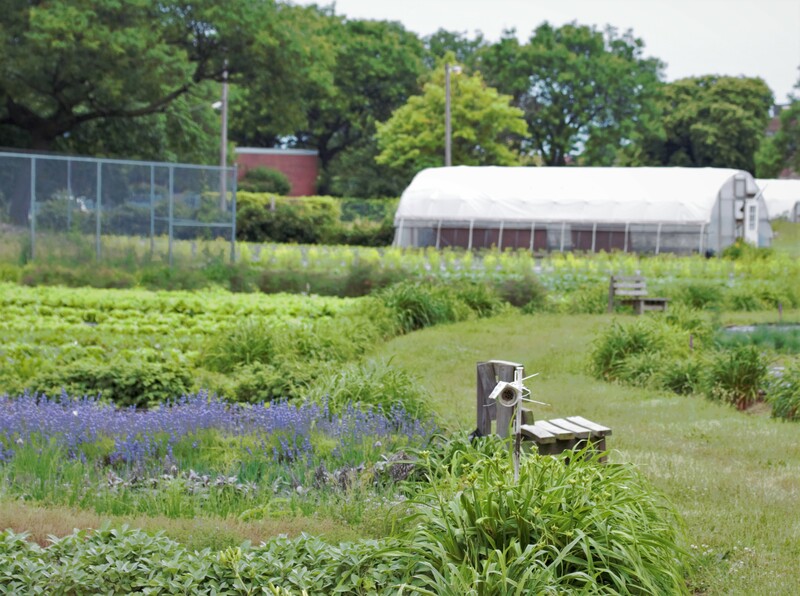 Using this information, we can manage greenspaces to both conserve native biodiversity and promote urban farm sustainability. 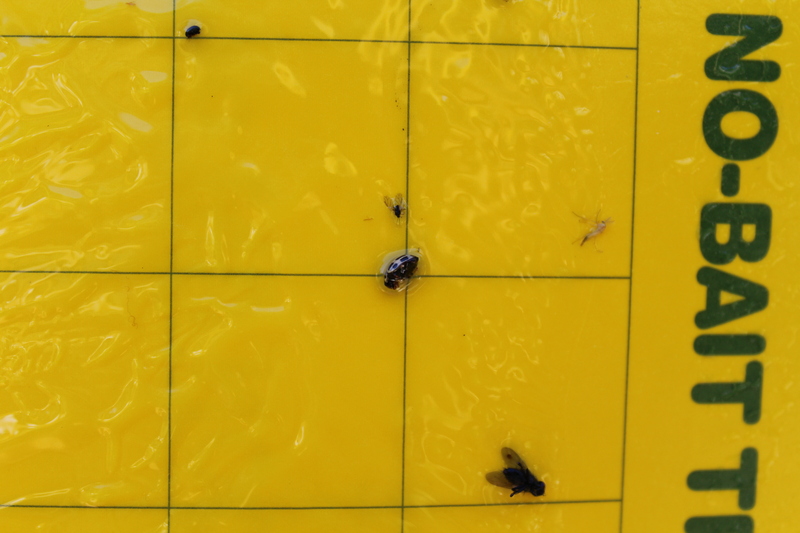 Does Cd Contamination Influence Pollination? 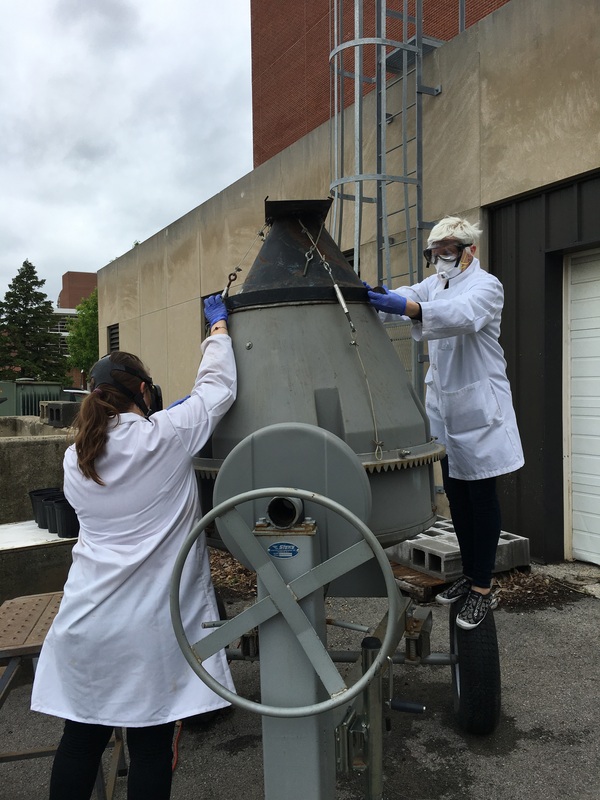 Rachel McLaughlin is an undergraduate researcher in the Gardiner Lab, mentored by Frances Sivakoff. 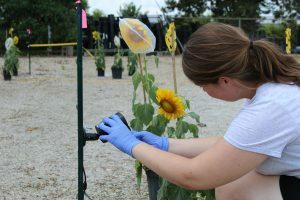 With an undergraduate grant and support from our recent USDA AFRI, Rachel and Frances are studying how soil contamination with cadmium influences the number and length of pollinator visits to sunflowers. 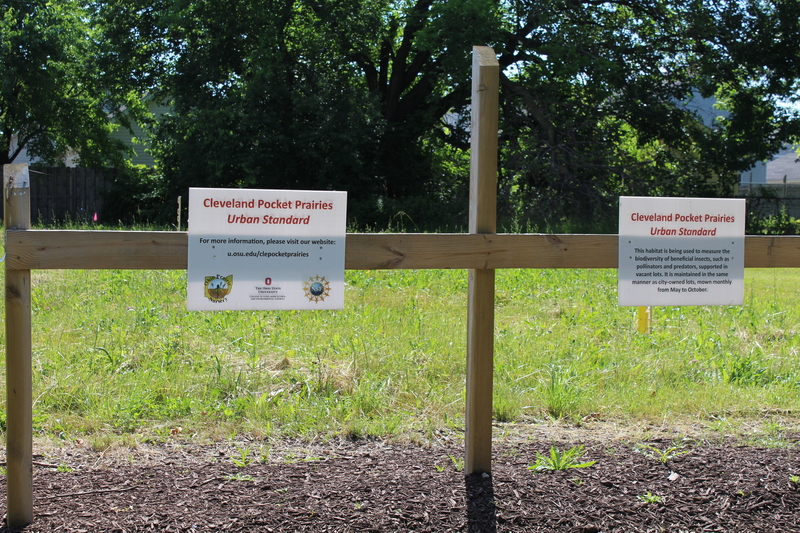 Cadmium is found in elevated concentrations in many urban soils with an industrial past, including Cleveland, OH where much of our research takes place. 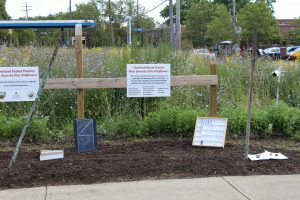 This experiment was conducted on the OSU campus adjacent to a demonstration urban farm, and follows up on research recently published by Sivakoff and Gardiner (Urban Ecosystems, in press), which documented that lead contamination of soils reduced the visit duration of bees to sunflowers. Over the past year, graduate students Rodney Richardson and Katie Todd have co-authored, and were awarded, two student grants to conduct pollen research in Cleveland, OH. 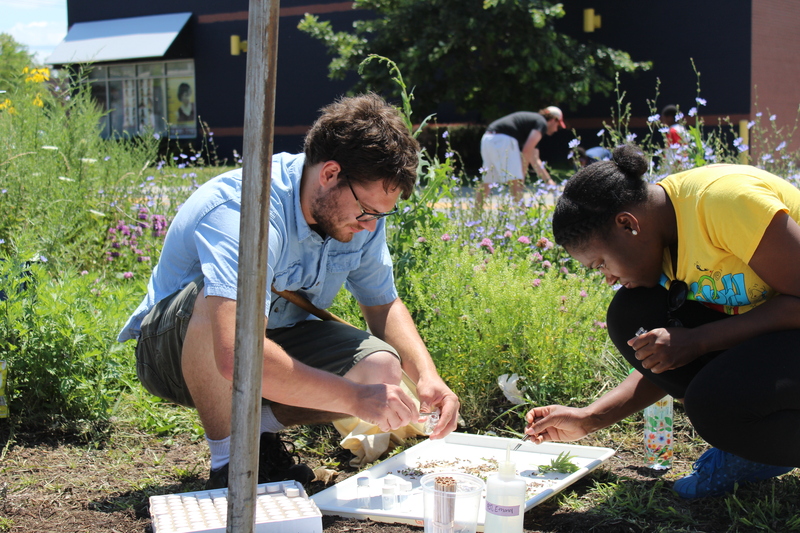 Rodney and Katie are supported by a North Central Region SARE graduate student grant ($11,930) and an OARDC SEEDS graduate student grant ($9,775) to investigate solitary bee’s pollen usage on urban farms. 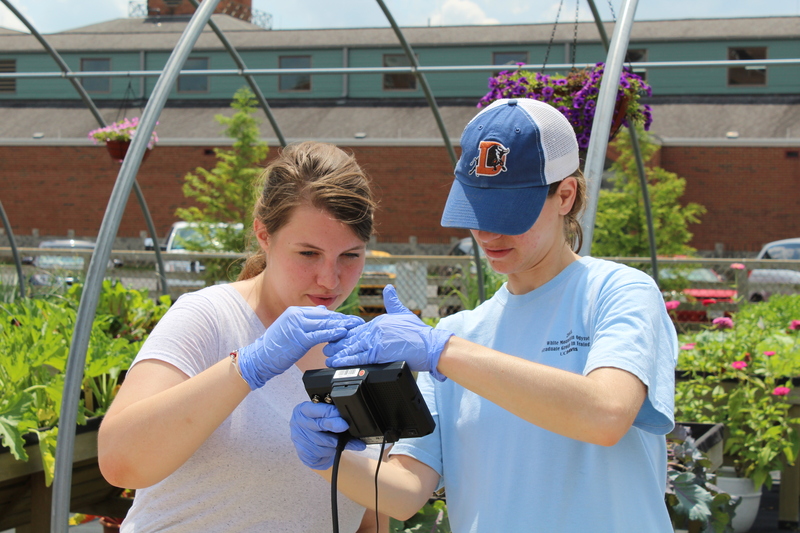 They are mid-way through their first year of pollen collection and will use pollen metabarcoding DNA analysis this fall to determine what their bee larvae were eating in Cleveland this summer. 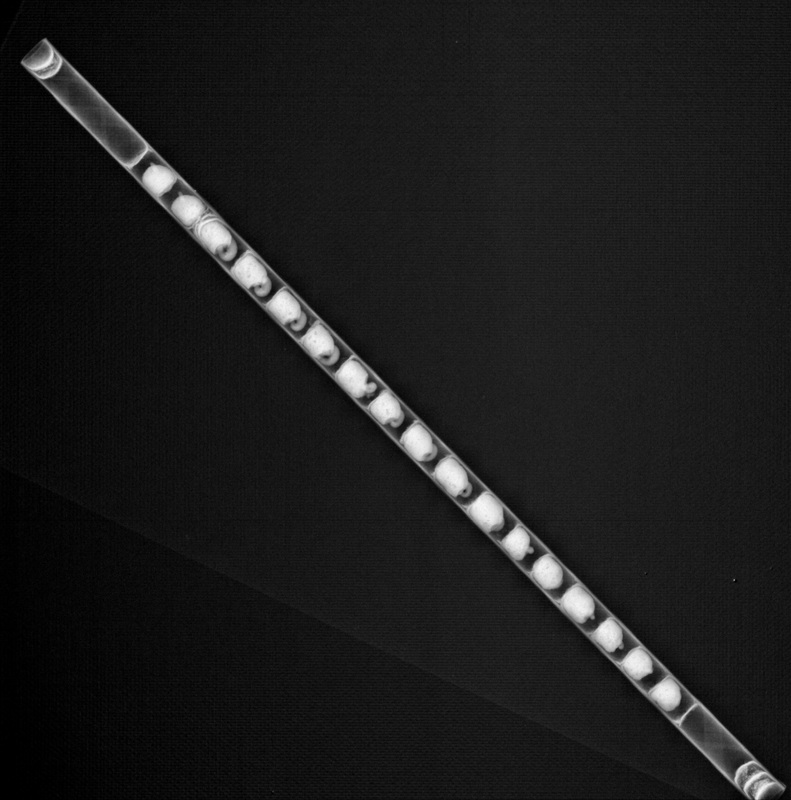 Check out the photos below to see some of their sites and bee X-rays! 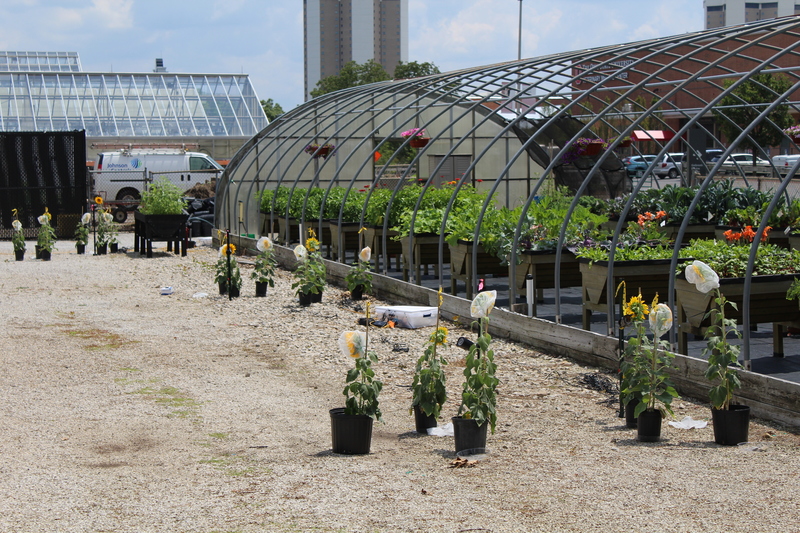 Project Summary: Urban agriculture is highly reliant on the pollination services that wild bees provide. 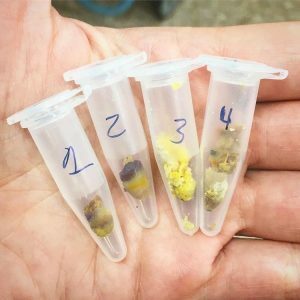 In order to support pollinator’s survival and reproduction, we need to supply both crop and non-crop pollen resources for these bees. However, we don’t have a clear picture of what solitary bees feed their young in urban farm environments. Therefore, we don’t know what flower plantings will best support local bees. In order to test what bees eat in urban farms of Cleveland, OH, we will collect bee larvae and pollen with “Bee Hotel” trap nests. We will then conduct a DNA analysis on the pollen within these nests in order to determine what floral resources are critical for solitary bee reproduction. 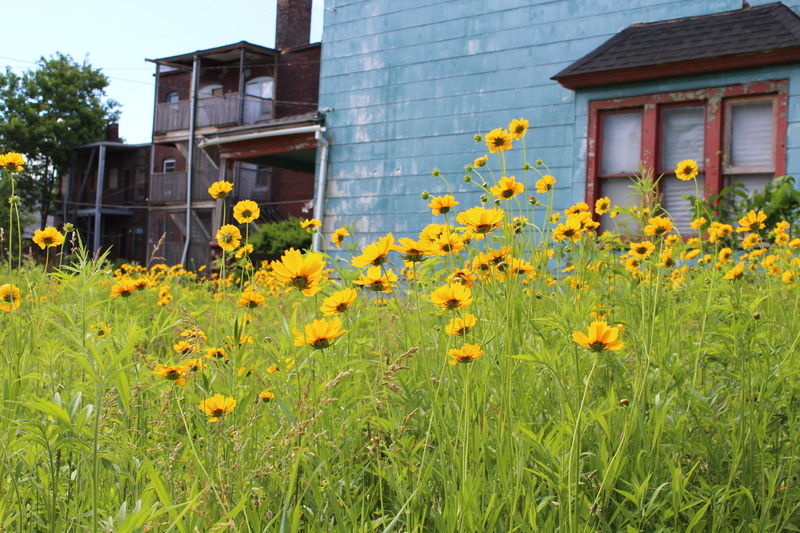 With this insight into urban bee foraging behavior and reproductive success, our study will inform farmers about urban habitat management to support future generations of urban bees and urban farm sustainability. Graduate Student Denisha Parker, undergraduate Ryan Byler, and Mary Gardiner participated in a fun outreach event on Sunday showcasing the Central Neighborhood of Cleveland, OH. 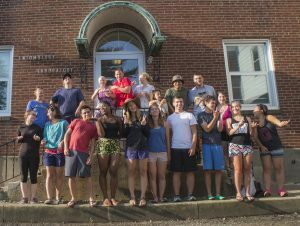 Community College Avenue was closed to traffic from 1-5 pm on Sunday 7/16/17 allowing families to walk among five activity hubs. 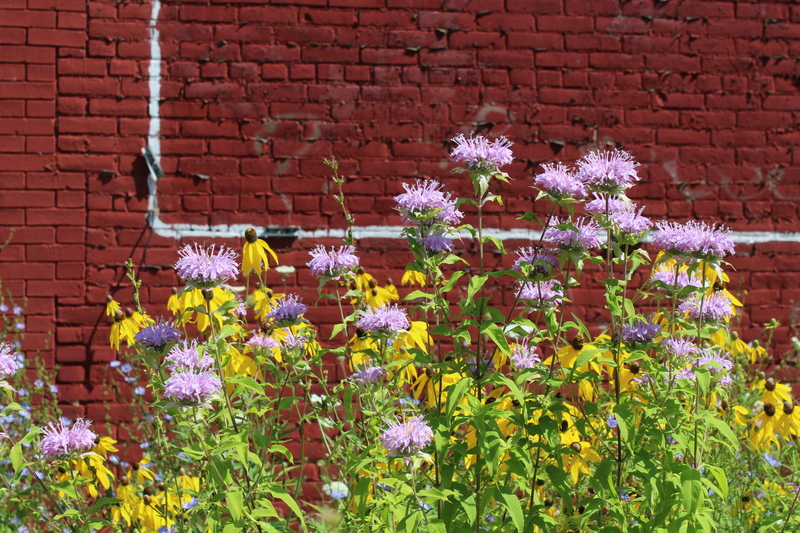 One of our prairie sites fell within the arts and culture hub. We had the opportunity to meet our neighbors, talk with community members about our study, and most importantly collect some bugs with a great group of children. 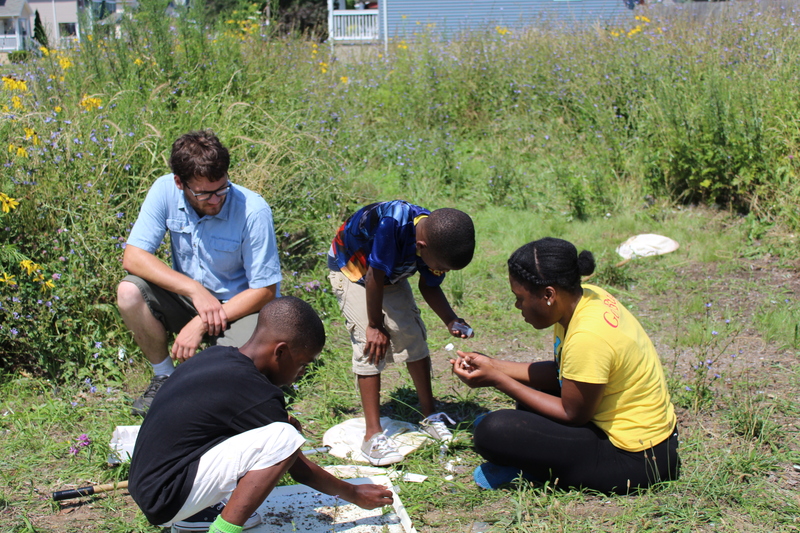 Below are some photos of Denisha and Ryan helping the budding entomologists to wrangle their catch!